The new Clean Volume system provides fine, color-treated hair exactly what it needs: light, airy fullness, flexible movement and shine. Use with the Levitation Mist and achieve maximum results of fullness and volume. The Levitation Mist retails for $28, Clean Volume Shampoo for $28, Clean Volume Condition for $30, & the Clean Volume Weightless Mousse for $30. 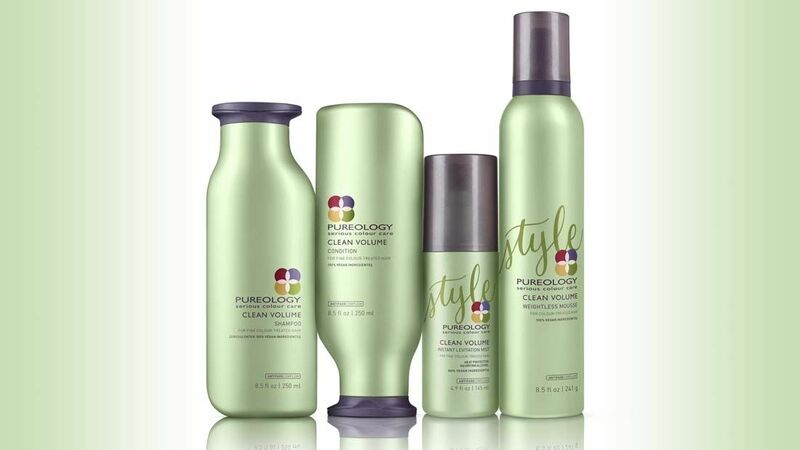 You can also mix and mingle these with any other PureOlogy products to make the perfect hair cocktail.